★ Neteller Casino ★ MobileWins™ Casino - Play Online Now! Welcome to MobileWins’ Neteller enabled Casino, where you can double your deposit! Claim your Welcome Bonus 200% up to $/£/€100 on your first deposit and start playing! 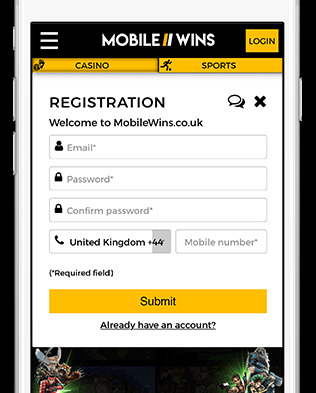 Here at MobileWins Casino we have the highest security standards in the industry. Combine that with the bulletproof system named Neteller and you could not be playing any more safely. A Neteller Casino obviously needs to have Neteller as a deposit payment. But what else? Offer 800 games on any device. Offer a Welcome Bonus 200% up to $/£/€100. To claim all these benefits all you need to do is sign up in 2 minutes and make a deposit. So do it now! MobileWins Neteller Casino fits the Neteller way; Fast, Simple and Secure. If you need a reliable method to deposit and withdraw online, this is it. It has worked well for over 200 companies and will serve you equally. Since 2000 Neteller is processing payments for the majority of the gambling world. Still, on MobileWins this system is integrated into its core. If you make a deposit at MobileWins Neteller will jump out as the preferred method of many people. How to Deposit at a Neteller Casino? Just by being on this page step 1 has already been completed! Step 3: Registration is now complete, time to make a deposit! Here, you can select the Neteller payment method. Continue and pay as usual. BOOM! Your deposit just got doubled and you are ready for our 800 games! You can reload your account using Neteller anytime! Good luck and have fun.